Added on April 15, 2018 by Erick Grau. Added on April 10, 2018 by Erick Grau. Added on April 3, 2018 by Erick Grau. We have wonderful news for our film, Perfectly Normal for Me! Added on February 16, 2018 by Erick Grau. We have wonderful news for our film: "Perfectly Normal for Me" has been chosen to screen at the ReelAbilities Film Festival! The New York Premiere is Friday, March 9 at 3PM at the JCC Manhattan located at 76th and Amsterdam. We are being honored with a red carpet event that will include the stars of the film for this special occasion. The festival runs from March 8-14 and we have 5 screenings at different venues during that time. Filmmakers and stars will attend as available (TBD). If you plan to attend any of these screenings, please secure tickets at your earliest convenience before they sell out. Two of the screenings are free but you should secure your tickets right away. Check with each venue for discounted senior, student and group sales. Alexandria, Jake, Caitlin and Veronica, ages 5 to 15, want to change the conversation. They reveal in their own words what it’s like to deal with the literal ups and downs of a challenged life. In this intimate verité documentary, four charismatic kids who we first meet at an after school dance program in Queens, strive for acceptance in a world that is often, at best, indifferent to them. Here is a link to our newly refurbished website with lots of great photos and more information about the film and the filmmaking team. Added on January 6, 2018 by Erick Grau. The Americans With Disabilities Act was never meant to be run by lawsuits. Instead, since 1992, the Department of Justice (DOJ) has been releasing technical assistance documents in order to explain disability-related civil rights obligations in plain language. The goal is to preemptively answer questions, but also to provide a model for consistency across the country. Private citizens and judges use these documents, as do people working on disability-related services in public, non-profit, and for-profit sectors. In the two and a half decades since the ADA became law, the DOJ has offered guidelines on how to move people with disabilities out of institutional living, and out of segregated, disabled-people-only work environments: Instead of being told that, as a person with a disability, you have to live in a special facility and work only where special arrangements have been made, the ADA guarantees you the right to live and work wherever reasonable accommodations make that possible. This is a matter of basic disability justice, but also protects disabled people from abusive living situations and exploitative work environments. The 2016 text in question (archived here) boasts the unassuming title, "Statement of the Department of Justice on Application of the Integration Mandate of Title II of the Americans With Disabilities Act and Olmstead v. L.C. to State and Local Governments' Employment Service Systems for Individuals With Disabilities." It was designed after a laborious process to help people with disabilities, disability-service providers, employers, and government agencies understand their legal obligation to create pathways to good jobs for disabled Americans. It represented the end of a long process of figuring out how a landmark Supreme Court decision on integrated housing might apply to work. The Olmstead decision from 1999, authored by Justice Ruth Bader Ginsburg, ruled that states must place people with disabilities in community living if "treatment professionals have determined that community placement is appropriate, the transfer from institutional care to a less restrictive setting is not opposed by the affected individual, and the placement can be reasonably accommodated." In plain language, the court ruled that states must create clear pathways for people with disabilities to live in their own homes or group homes located within their communities, rather than isolating them in segregated institutions. Over time, Olmstead has been interpreted to apply to workplaces as well. Meanwhile, workplaces are just as potentially isolated as live-in institutions, and there's also a risk of economic exploitation of disabled people's labor. Segregated workshops are legally allowed to pay disabled workers pennies per hour. They are incredibly lucrative, and often their owners use their wealth to buy political access. But in 2015, a class action suit in Oregon (Lane v. Brown) and a consent decree in Rhode Island resulted in the new DOJ guidelines: Basically, everyone deserves an opportunity to work in integrated settings. That's only possible if education systems, workplaces, and housing providers play by the same sets of rules governing the public and private mechanisms of disability rights work together. Before 2016, I was optimistic about our chances to wholly reform work opportunities for people with disabilities, so that each person would maximize their potential. Now it's anyone's guess what's going to happen next. The Sessions DOJ claims to have deleted the guidance documents in order to "afford further discussion with relevant stakeholders, including public entities and the disability community, as to how best to provide technical assistance in this area." That discussion, however, has already taken place. Hill tells me that career Justice appointees (not political appointees) led the way on the 2016 document after talking to "people in sheltered workshops, sheltered workshop providers, parents, people who were formerly in sheltered workshops, people in competitive employment, vocational rehab providers, educators, everyone." There's been plenty of discussion already—and the suggestion that deleting these documents was in the best interests of disabled people is deeply misleading. 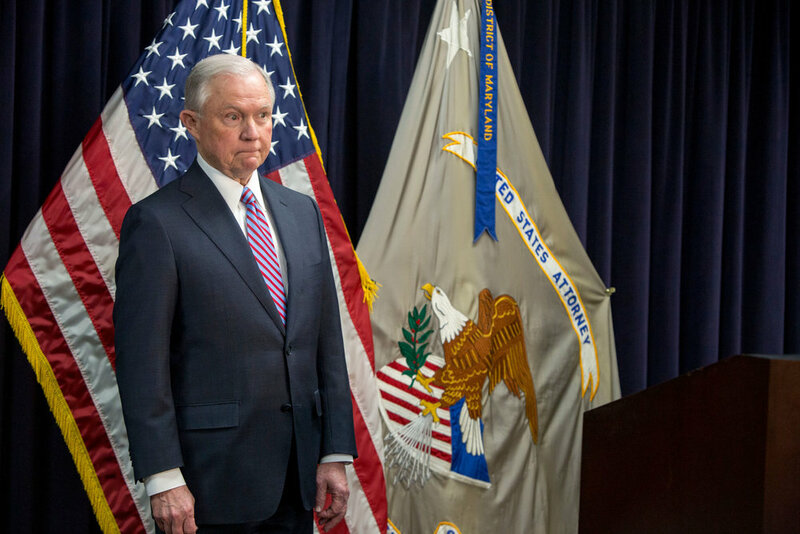 What seems to be really happening, according to Hill and numerous other disability rights advocates to whom I spoke, is that the Sessions Department of Justice is siding with sheltered workshops. Sessions has a well-known general antipathy to federal enforcement of disability rights, so he's the perfect figure to use in rolling back this Olmstead guidance. Here, we merely have to follow the money. As Hill notes, "People who pay people with disabilities below the minimum wage get contracts that pay the regular fair market value even though they pay below minimum wage." Many sheltered workshops are extremely profitable enterprises, grossing considerable income from the work itself, while presenting themselves to the public as educational or charitable enterprises.